Was What Kiera Wilmot Did SCIENCE? When Kiera Wilmot and the ACLU claimed she was just exercising her scientific curiosity when she made a bottle bomb, a kind of improvised explosive, which got her expelled from school and nearly resulted in her being prosecuted for a felony, was what she did fairly excused as a science project? The bottle was taken into evidence and is at the state Fire Marshal’s Office for processing, said Sgt. David Wyant, spokesman for the Bartow Police Department. ….At this point, Wilmot’s case is in the juvenile court, he said, even though the two allegations against her are felonies. This morning I got up, and in the course of my mornings chores, I made biscuits. I found a very simple recipe some time ago, with only two ingredients required, milk and self-rising flour. The milk acts, among other things, as an acid that interacts with baking powder and other ingredients in the self-rising flour to create a chemical reaction, a gas which is different than the gas released from yeast that makes a yeast bread rise. Sometimes, based on what is available when I open the refrigerator in the morning, I make substitutions. I might throw in yogurt and water, half and half, some kind of cheese, in addition to other ingredients. But what makes the biscuits rise when I put them in the oven is the same principle – some kind of acid interacted with some kind of base. It is a chemical reaction. I know that as in other recipes used in baking some form of bread or cookies or cakes etc. the acid might be vinegar or something else acidic, instead of milk. I’ve made this recipe so many times, in so many ways, I no longer need to measure the ingredients if I don’t want to do so. I usually eyeball it, estimate it, make it the way my grandmother made many recipes she knew well. In her words you “just do it”. Is this a science experiment, or just breakfast? I would argue that it is just breakfast, because the intent, in spite of some knowledge of the chemistry of the ingredients working, is not the point of my activity. I want to eat the result; I only care about the chemical interaction when something doesn’t work, and I need to fix it. Otherwise I don’t think about it, I don’t care about it; the chemical reaction is not WHY I do it. If my interest were scientific, I would be measuring carefully, I would be doing a different kind of documenting of the substitutions, and I would be taking notes that reflected measurable differences in the results. It is certainly not that I am unaware of the role of science in cooking or food products; one of my cousins has a PhD in organic chemistry. She now teaches organic chemistry at a very prestigious academic institution; however when she first earned her degree she worked for a major food company in the development of new products, in a kind of industrial application of science to food. So I am well aware, from discussing the differences, how being a scientist and what I did to make breakfast differ. Later this morning, after finishing this article, I’m going to clean the household drains before I write the next piece I’m working on. I will be using vinegar and baking soda, which IS, unlike what Kiera Wilmot did, a ‘common science experiment’. But I’m not mixing these two ingredients together as a science experiment; there is no demonstration purpose involved. I will not be measuring carefully, I will not be taking notes. I’m keeping drains open in a manner which is also safe for pipes and a septic system. I might run the vinegar through the coffee maker first, and I might notice in passing if using hot vinegar instead of room temperature vinegar interacts differently with the baking soda when I pour it down the drain – but that doesn’t make it a science project either, just because I can identify in scientific terms what is happening. Later on today, I actually WILL be doing a science experiment, in the same kitchen where I made biscuits and cleaned the drain. I will be making dog treats for a friend who has a dog with fairly severe allergies. I have some formal training in veterinary medicine, and in particular an interest in the immune response that is associated with sensitivities and allergic responses. And like my understanding of the chemistry of my casual biscuit making, I will be using that understanding to modify a recipe, based on a variety of information, to make substitutions that parallel the ingredients that we know the dog can tolerate well, to make customized dog biscuits for my friend and my friend’s dog. I have spent, and will spend more time, researching what will and will not trigger those immune system allergic responses, I will be doing actual research, and I might very well do some consulting with my cousin with the PhD in organic chemistry, as well as researchers in this field. 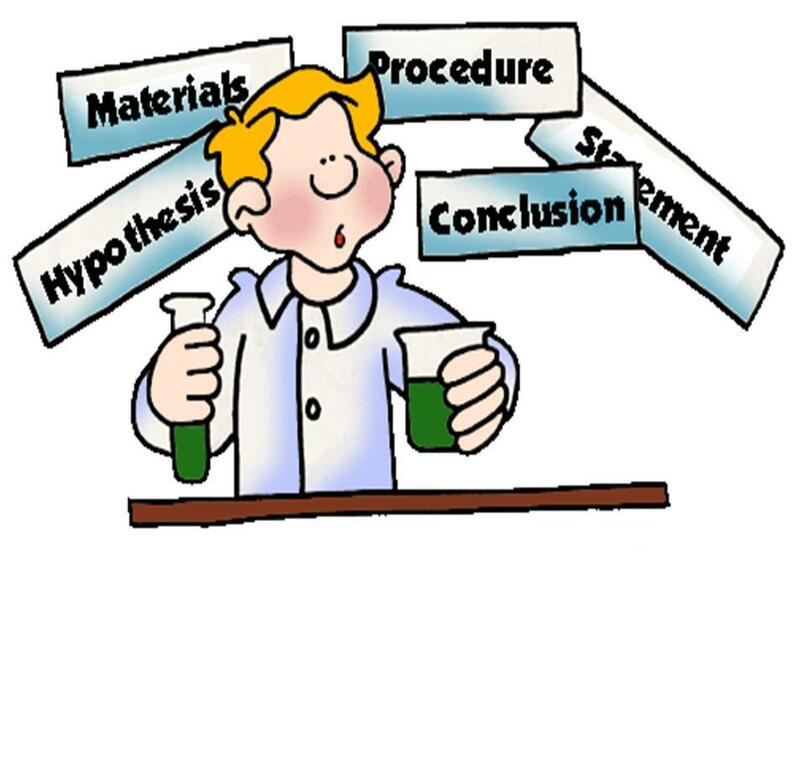 And what I do will be done very much as a formal science experiment, from beginning to end, even though some of what I do will be done in that same kitchen where I threw together biscuits this morning. There is a difference between the emotional and entertainment value of an explosion for fun, and science, although science can be fun. There is a difference between the safety concerns involved in science and the efforts made to make something reproducible and just fooling around for some other reason. Curiosity can be present in both, but curiosity does not, by itself, make something you do science, or a science project.